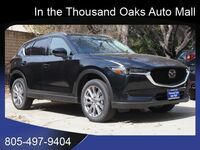 The Mazda CX-5 has been a staple in the lineup for a while now, and the 2019 model is finally coming with something that we have been coveting for a long time. How’s that for a tease? We’ll dive into that more below. 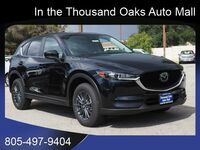 This crossover has always been lauded by drivers and critics alike for its impressive combination of style, performance, sophistication, and efficiency. 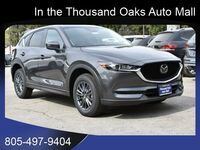 Standard interior features include MAZDA CONNECT™ infotainment, a 7-inch full-color monitor, push-button start, cloth trimmed-seats, Bluetooth connectivity, and dual front USB ports. Here is where our tease comes to fruition. 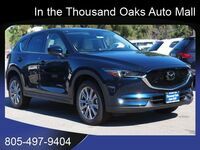 New for this model year, the Mazda CX-5 finally comes available with a turbocharged engine. 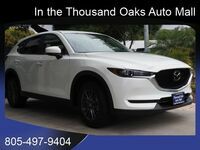 Like with the Mazda6, this is something that drivers have been wanting for a very long time. We saw the 2018 Mazda6 get fitted with a turbo engine and it has been a smashing success. 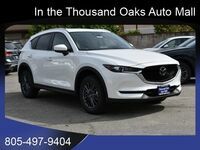 We expect nothing different from the 2019 Mazda CX-5. Only the Grand Touring Reserve and Signature trims come with the new turbo engine. 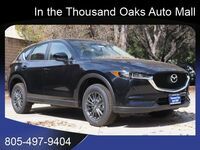 This SKYACTIV®-G 2.5-liter 4-cylinder engine with Dynamic Pressure Turbo is powered by 250 horses and it will certainly be a thrill to drive. Even those who don’t opt for the new engine option will be rewarded with a capable 187-horsepower SKYACTIV®-G 2.5-liter DOHC 16-valve 4-cylinder engine with Cylinder Deactivation. 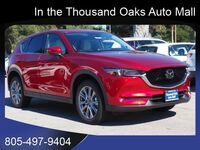 Depending on individual driving habits, the 2019 Mazda CX-5 averages up to 30 highway mpg and 24 city mpg. 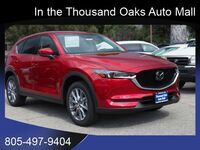 Come down to Neftin Westlake Mazda to see what all the fuss is about. We waited a long time for this crossover to be fitted with some turbo and now we finally have it. 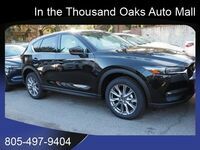 We will go over everything you need to know like pricing details, financing options, and all of the other available features. We hope to see you soon!